Follow RT for news and updates on Russia-US relations including allegations by US authorities of Russian meddling in the 2016 US election. 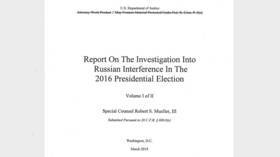 Find assessments of the ODNI claiming that the Russian government affected the 2016 US presidential election in order to damage Hillary Clinton’s presidential campaign, assist campaigns of some other candidates, and cause instability in the US. Read news and updates on the investigations conducted by the US authorities, and inquiries about alleged links and financial ties between Trump associates and the Kremlin. Check RT.com to read news and articles on testimonies of such people as Paul Manafort, Michael McFaul or James Comey. 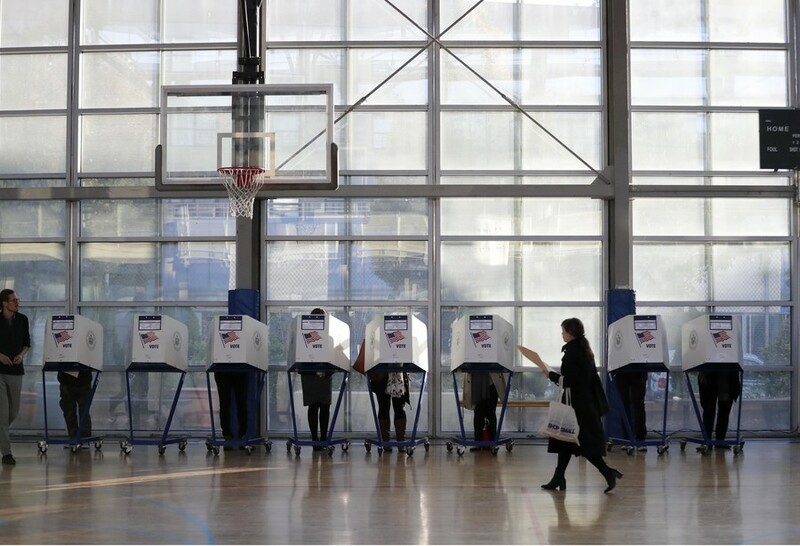 No proof of alleged Russian meddling in US elections has been made available. Russia denies hacking into US officials’ private resources. US authorities also suspected some Russian hackers of being responsible for attacking DNC emails during 2016. The office of Robert Mueller, the special counsel, has indicted 12 Russians for alleged meddling in the 2016 US election. Find news on RT about those Russian nationals charged by the US with alleged conspiracy to interfere in the 2016 presidential election. Get the news from RT on Podesta emails and Wikileaks obtaining those emails. In March 2016, the personal Gmail account of a former White House Chief of Staff and the chairman of Hillary Clinton’s 2016 US presidential campaign John Podesta, was hacked. Later, Wikileaks announced it was in possession of 50,000 of Podesta’s emails. Follow RT for the news and articles on Trump Tower meeting which included members of the 2016 Trump campaign and Russian lawyer Natalia Veselnitskaya. US AG William Barr says the two-year Mueller probe found no evidence of President Donald Trump colluding with Russia. Instead, it leans heavily on the repeated allegations that Russian hackers interfered in the 2016 election. Countdown to Mueller report release: Russiagate’s end or just another conspiracy chapter? Odds are the publication of the long-awaited report by special counsel Robert Mueller will not change the minds of those invested in the conspiracy theory that President Donald Trump ‘colluded’ with Russia to get elected in 2016. 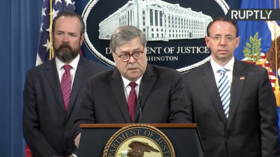 The very same congressional Democrats who maintain ‘Russiagate’ was real are denouncing Attorney General William Barr’s claim there was improper surveillance of the Trump campaign as a conspiracy theory. After the Russiagate probe failed to find evidence that President Donald Trump conspired with Russia, a new poll shows that Americans now suspect that Hillary Clinton was the one who might have colluded with foreign operatives.